Whutuf – New Mixtape “整理 정리” Korean Hip-Hop!!! | Japaneze Jusu!!! ようこそ!!! 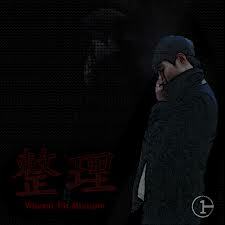 Whutuf – New Mixtape “整理 정리” Korean Hip-Hop!!! Whutuf is a Korean rapper and this is his new mixtape! I have never heard of this artist before so was excited to listen to his mixtape! The mixtape is actually really good! There are some good tracks included and “Good Night” is one of those tracks! I like it! Take a listen! The beat is nice and smooth! I also like the very first track on the mixtape “가치“. ← みんなの日本語初級２聴解タスク２５!!! Minna no Nihongo 2 Listening Practice!! !